This is a half review as I only managed to get a ticket for the Sunday events, but it should give a good impression. It was a shame to have missed Marcus du Sautoy on memory and the mathematical mind; Luc Steels on the body and memory; Douglas Coupland (who misses his ‘pre-internet brain’); Colin MacCabe’s film with John Berger and Tilda Swinton; and, with the upcoming Proust Phenomenon in mind, Jean-Yves Tadié on the question whether there is such a thing as ‘involuntary memory’ and Sissel Tolaas on smell and memory. And I was very sorry to not have heard David Lynch, although the talk was probably about the benefits of transcendental meditation for world peace. The well-spoken and thoughtful South African photographer David Goldblatt gave an excellent talk on his work, and the difficulty of using a two-dimensional space to capture a single moment in an enduring way; to freeze, in Goldblatt’s words, ‘imminence and immanence’. Much in his talk, and in his work, is implied, subtly. Goldblatt showed photographs of South African mills and asbestos factories that are now monuments to an earlier industrial era; and he meditated on the idea of ‘shaft-sinking’ (one of the most dangerous parts of the mining industry) as a poignant metaphor for the role of history and testimony in addressing of South Africa’s troubled past and conscience: memory functions as personal and collective ‘working through’ of trauma. His series on ex-offenders is a profound meditation on former criminals grappling with memory, guilt, crime and punishment. Goldblatt’s work is artful, even sublime social documentary/commentary. You can find his work here: http://www.davidgoldblatt.com/. In contrast to Goldblatt’s deeply humanist perspective stands the scientific narrative of Eyal Weizman (Visual Cultures, Goldsmiths). The author of Mengele’s Skull (2012) identified a shift in the study of social trauma from an emphasis on stories by victim of genocide towards forensic perspectives. He noted that the post-war period was ‘the era of testimony’ (think of South Africa’s Truth and Reconciliation Commission) and now we experience a move towards osteo-forensics and carbon-dating. Like people, material objects continually register time, transform and keep traces of their age and experience, but are probably more reliable: people misremember and misrepresent, objects don’t. It’s perhaps part of a more general forensic turn and perspective offered by science and technology in contemporary culture. Literary responses that come to mind are Ian McEwan’s work, but also Michael Ondaatje’s Anil’s Ghost (2000), which centres on a forensic anthropologist who works on the skeleton of a murdered man in Sri Lanka. Our contemporary culture has re-embraced material culture unconditionally, and we seem to be living through a new techno-scientific hyper-revolution that is reshaping our idea of what it means to be human. I do wonder whether we should challenge the overconfidence and sometimes blind belief in what seems another form of fallacious Enlightenment thinking. Artistic duo Gilbert and George were very entertaining, spontaneously singing ‘Underneath the Arches’ (1932) in its entirety, but they also stated interesting, idiosyncratic things about memory. They are self-confessed hoarders, and have voluminous archives of any material object relating to their lives and art, including correspondence. They ended their appearance with an experiment undergone at the hands of a Belgian artist, who asked them to blurt out the first word that popped into their mind in response to the letters of the alphabet. It was a pornographic, scatological list, both amusing and profound at the same time because it reminded the audience that for Freud humans are archaeo-textual spaces that can be made sense of through excavation, or remembering, via linguistic association. The octogenarian Japanese architect, Fumihiko Maki, who co-founded the Metabolist movement, delivered a compelling talk on the relationship between memory and architecture – he narrated his own life through the various spaces he made throughout his architectural career. 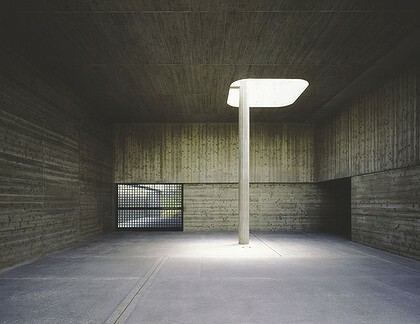 Uncannily, Maki kept on alluding to his own impending death, and his exposition on his design for a crematorium was therefore alarming. It is a shame that audience participation is limited at this Marathon; the general public is not allowed to ask questions. The most dangerous moment came when police artist Jan Szymczuk spoke about his work on crime scenes and drawing faces from witnesses’ memories. Szymczuk talked about ‘working memory’ in relationship to daily routine, which allows us to function on a day to day level without taking up much brain energy (can you remember what you had for dinner two days ago, or what you say on the bus to work yesterday? Probably not.) Unless the fabric of everyday reality is violently ruptured through some kind of accident, and then the brain actually remembers actively. He spoke of a twenty-four hour window, when the imprint of the memory was freshest, making it necessary to interview victim of crime (other than sexual assault) at that point. Suddenly, a young woman in the audience jumped up and shouted: ‘How can you sit there and tells these f***ing lies? You should know better, knowing what you know?” She then stormed out, leaving a dumbstruck audience behind – we were trying to figure out what the woman had said precisely and how it related to Szymczuk. Was she a victim of sexual assault? Why this attack on this man, who dedicates his life to solving crime? Szymczuk said: “Did you get a look at that woman? Would you be able to describe her to me?” The woman’s intervention was part of Szymczuk’s demonstration of how such a violent, verbal intrusion can jolt memory from ‘working memory’ into ‘active memory’: the senses are blown open and we absorb the world around us more intensely, more fully. Szymczuk then asked a volunteer to help him reconstruct a drawing of the woman’s face from memory. Brilliant. Alice Rawsthorn (http://www.alicerawsthorn.com/) delivered a talk on why certain objects disappear: it’s the combination of ‘functionality’ and ‘aesthetic quality’ (ie. design) that ensures survival. As an example she noted the disappearance of the calculator, in the seventies a new, magical tool, whose functionality and look are now absorbed into the computer and mobile phone. Rawsthorn made a claim for the survival of the printed book, but there are good reasons for believing in the future of the book as material object besides nostalgia, as Mary Wolf’s Proust and the Squid (2007) and Nicolas Carr’s The Shallows (2011) make clear. An Italian artist, Alberto Garutti, spoke through a translator after disseminating slips of paper that read: every step that I have taken in my life has brought me here, now. An unintelligible argument followed, and Garutto constructed an image of memory that was too much like a unilinear chain, too much steeped in causality. A discussion between Amos Gitai, Jacques Herzog and Pierre de Meuron hardly touched on memory at all, but turned into a discussion of the importance of collaboration, and despite various attempts by moderator Obrist, the men remained schtum about memory. The dancer is indistinguishable from her dance; she is the dance, object and creator, mediated by us as spectators. What we see in the performance is how bodily form and function collapse into pure, yet controlled being, the illusion of freedom and potentially endless permutation. The mind and body duality is effaced, and the consciousness becomes at one with the body in the experience.